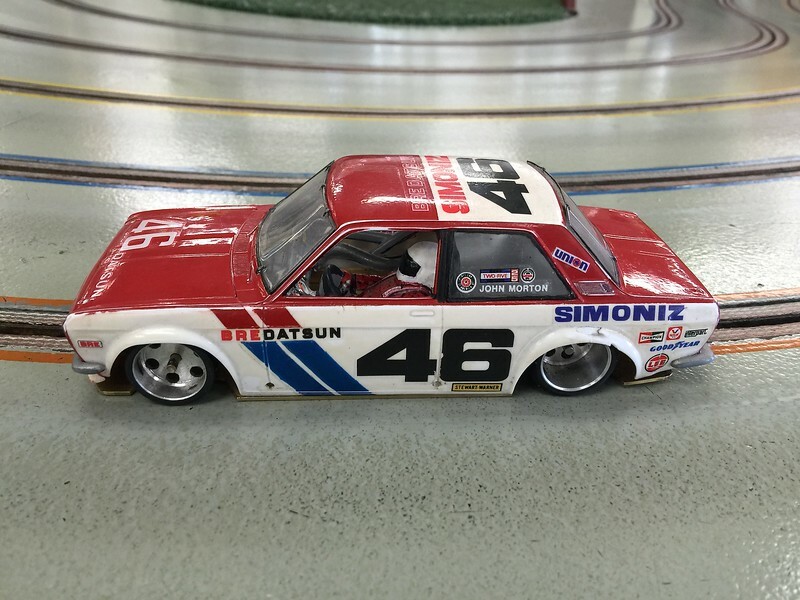 Hector "Gonzo" Gonzalez' 1/25 BRE Datsun 510 Under 2.5 Liter Trans Am car. Gonzo's new BRE Datsun is similar to his previous 1/24 BRE Datsun except this new car is an "inline" compared to his older 1/24 Anglewinder BRE Datsun. Gonzo raced his new inline BRE Datsun today to see if it handles better than a standard inline car. After the race, he proved his new inline definitely handles significantly better than a standard inline car.